I'm honoured and delighted to be joined today by the wonderful Han Nolan, author of the poignant and thought-provoking YA contemporary novel, Pregnant Pause. If you missed my review of Pregnant Pause click here, or simply scroll down a bit (it's the post below this one). 1. Welcome to Bookish, Han! Thank you so much for being one of the guest during the Contemporary Fiction Month feature! Could you start by telling us a little bit about yourself? Thanks so much for inviting me, Evie. Okay, a little bit about myself. Besides writing, I love to read, of course, and run (a lot!) and hike, (a lot! ), swim and bike. I'm just learning to play the violin, (stink at it so far but I love it), I have two daughters, and twin grandsons, and another grandson on the way, and I've been in love with and happily married to a wonderful and supportive husband for the past thirty one years. 2. 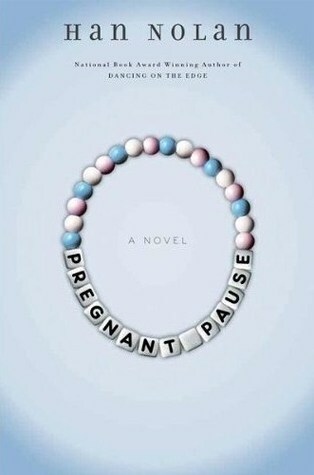 I have thoroughly enjoyed reading Pregnant Pause, it was an eye-opening and very meaningful read! Would you mind telling us who or what inspired you to write it? When I was a student teacher years and years ago, it was sort of a fad, even a status symbol, to get pregnant while still in high school and again and again I saw these young girls in shock when, among other things, they didn't have the love and support they thought they would have, and their babies didn't always turn out to be that healthy baby boy or girl with all their toes and fingers and high IQs they'd expected. So I guess my story stemmed at least in part from this long ago experience with my students. 3. What would you say is the most important quality your characters possess? I don't think of my characters as being just one character. I think they each have their own individual qualities. In regards to Elly, the protagonist in Pregnant Pause, I think a couple of her most important qualities are her determination and stubbornness. 4. What was the most difficult part of the novel for you to write? Some of my novels are just about impossible to write and I struggle all the way through them, and others, well two out of ten, have just spilled from my brain onto the page. Pregnant Pause was one of the ones that spilled onto the page. So I didn't really have a difficult part, which was fortunate because the book before this one called Crazy, took four years to write and nearly drove ME crazy. 5. Have you always wanted to be a writer? At what point in your life did you decide that writing is something you want to do? Yes, I have always wanted to be a writer and I remember being eight years old and thinking that I wanted to be a writer and live in New England, but I never believed I would actually become one because other than writing the stories, I didn't have a clue about how to go about becoming a writer. Over the years I thought about becoming other things and even majored in Dance, getting BS and MA degrees in it, but eventually I returned to my first love--writing. I've had stalker fans at conferences, and I get a lot of mail where a student wants me to do their homework for them and they try to trick me into doing it, but to tell you the truth, most of my fan letters are from intelligent, and thoughtful readers who have taken the time to write to me and tell me how much they've enjoyed my book, or books. I've even gotten letters from men in prison--beautiful letters. 7. How do you approach writing a new novel? Are you a plotter or a panther? Oh, I don't plot ahead of time or have an outline. I start out with something very vague, a sentence, a slim bit of an idea, or a character and then I like to see where that sentence, or character, or thought will take me. It makes it more interesting for me not to know where I'm going. Then when I've written the story of course I go back and clean up the mess I've made and make it make sense--connecting all the stray bits and fleshing out others. 8. What's next in line for you? Are you working on a new book now? I'm in the process of a major re-write of my tenth novel. It's a bit of a mess right now so lots of work to do on it. 9. Which three contemporary books would you like to see adapted into motion pictures? I always prefer a book version to a movie version so I'll have to say none. 10. If your book had a soundtrack to accompany it, what songs would be on it? The song Jack and Diane ("Little ditty about Jack and Diane, two American kids doin' the best they can…"
Han, thank you so much for taking the time out of your busy schedule to join us here today! Crazy is next on my TBR list and I can't wait to dive into it! I'm also looking forward to reading your next books! I didn't do well in school until the sixth grade. That's the year I was given my first creative writing assignment. I had been writing stories at home for years and of course keeping a journal filled with more stories and poems and all those important thoughts I had. My homeroom/English teacher was very impressed by my writing and this made me feel smart. I decided to do well in school after that, and I did. But what if that teacher hadn't encouraged me? 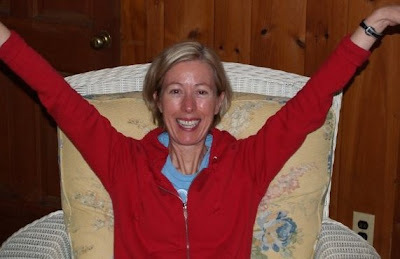 For more information about Han Nolan and her books, please visit her website: click here. Thomas Allen & Son has generously offered to give away one copy of Pregnant Pause. 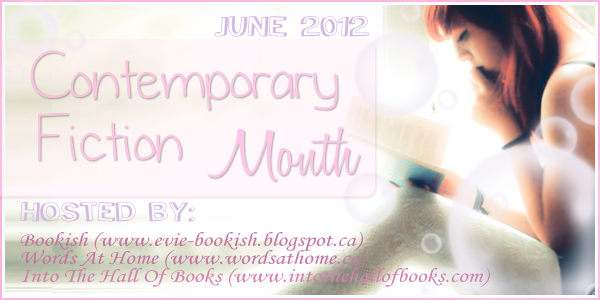 This Interview + Giveaway was posted as part of the Contemporary Fiction Month feature. Click on the picture for full schedule. Wow, great interview Evie! I also enjoyed learning Han's life in the "About the Author" section - especially how creative writing made her want to go to school after years of staying home, feeling ill and avoiding school. The power of books and writing! Fantastic interview!! I really love getting to know more about authors and about their books. Thanks you guys! I had so much fun talking with Han, she is a wonderful and fascinating person! :) So happy to have her here with us today! This is certainly a great interview :).I think you really know what questions to ask.Good job. So interesting that she actually got experience in seeing what it was like for teenmom's in highschool while she worked at schools. Sad to read/hear about girls that think they need to find love in a baby. It is interseting that it took her 4 yrs to get the story written just right. It just shows you to keep working on it and it will pan out. The more book-to-movie adaptations I see, the more I agree with Han that book versions are (almost) always better! I would much rather read the book, and if I see the movie first, I know I won't go back & read...Sadly. Great interview! Wow this book does sounds rather good. Thanks for doing the interview its actually drawn my attention more to the book! It sounds like your father was quite a storyteller! In my family it was my mother. She told a few key family stories but mostly she made sure we went to the library ever week and she read to us at least once a day! Nothing like instilling the love of books (stories) in your children! Thanks for the heads-up on the novel. From the title one might think that it is a funnt book. Your review says that it is about happenings that are anything but -- pregnancy and suicide are fairly serious topics (altho they might have their humorous sides). Thank you! Great interview! I love how the characters don't have one single important quality. That they are defined by more than one word. GREAT interview Evie!!! It's always interesting to know what stories pour right out of authors and what ones are a fight to get out. I always find it encouraging to hear of an author who approaches novel-writing in much the same way I do -- beginning with a vague something and seeing where it takes me. I guess it's good for my confidence as an aspiring author to know my lack of pre-planning isn't necessarily bad! I've read a few other books about teen pregnancy, but this one seems to stand out. I can't wait to read it! Great interview! I love a book that tackles real issues. Thank you!